Our friend Tom Fitton, president of Judicial Watch and the editors of The Wall Street Journal have done some great work in the past few days exposing the latest twists in the targeting of conservatives by Lois Lerner and her colleagues at President Obama’s IRS. The latest in what WSJ writers call Obama’s “spin and stall strategy” comes from the Obama Department of Justice (DOJ) that astonishingly assigned a lawyer who figured as a witness in the IRS targeting investigation to handle the case for DOJ. It turns out that attorney Andrew Strelka, the (now former) Justice Department lawyer who was assigned to a case brought against the IRS by Z Street, a pro-Israel group that says its application for tax-exempt status was delayed in 2009 because of a policy giving special scrutiny to groups whose missions conflicted with the White House line previously worked at the IRS office that handled the Z Street case. This all came out in the course of a blunder in which a dimwitted Department of Justice spokesman accidentally called the House Republicans instead of the House Democrats and proposed leaking information about the Strelka situation to the media. Naturally, the suspicion now is that Strelka was intentionally assigned to the Z Street case to help spike it, but that has yet to be investigated, let alone proven. The conspiracy-minded will see an Obama targeting plan that reaches across the entire government to single out and target “enemies” or those that disagree with Obama’s policies. And one interesting, but not-so-obvious point worth investigating that the whole Strelka – Z Street imbroglio brings up is how a government employee can move so deftly from the center of one anti-conservative operation to another all in the supposedly non-partisan civil service environment of the IRS and Department of Justice. 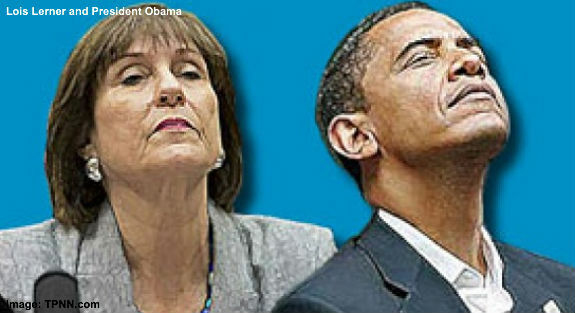 What if the IRS targeting and Lois Lerner cover up are inherent in the nature of big government itself? At the beginning of the IRS targeting and abuse of power investigation some journalists and conservative commentators investigating the scandal began to zero-in on Colleen M. Kelley, President of the National Treasury Employees Union (NTEU) – the union for IRS employees – as a potentially the pivotal figure in the IRS political targeting of conservatives scandal. Kelley, an ex-14 year IRS agent is pretty much what you would expect of a government employee union president – an arrogant, and exceedingly liberal, inside-the-Beltway operator. The reasons investigators from The American Spectator, The Daily Caller and even The Washington Post began to zero-in on Kelley were her close ties to the Obama White House and the strangely coincidental meetings at the White House Kelley is documented to have had. Kelly seems to have disappeared from the public commentary on the scandal, so we don’t know if investigators are still ferreting out who at the White House Kelley met with. Knowing who Colleen M. Kelley's White House email buddies were during the period the IRS began and executed the targeting of Tea Party, “patriot” and conservative organizations, Christian ministries, right-to-life and pro-Israel Jewish groups and other opponents and critics of the Obama administration for political discrimination in the granting of not-for-profit tax status would be very revealing we suspect. And Kelley has never denied speaking with any White House staffer, “senior advisor” or Obama campaign operative about targeting the Tea Party and other opponents of Obama’s policies. Nor has she ever condemned the conduct documented in the Inspector General’s report or other revelations with a statement that the union demands the highest standards of professional conduct from its members, because let’s face it – it doesn’t. What the National Treasury Employees Union demands, and what Obama stands for, is the same thing – more government. Once government reaches a certain size its prime directive ceases to be to serve the people who created it to become preserving itself and expanding its power. This confluence of interest in growing government and government regulation goes straight to the motive of why unionized IRS employees might want to harass Obama’s political opponents to make sure the big government president was re-elected.